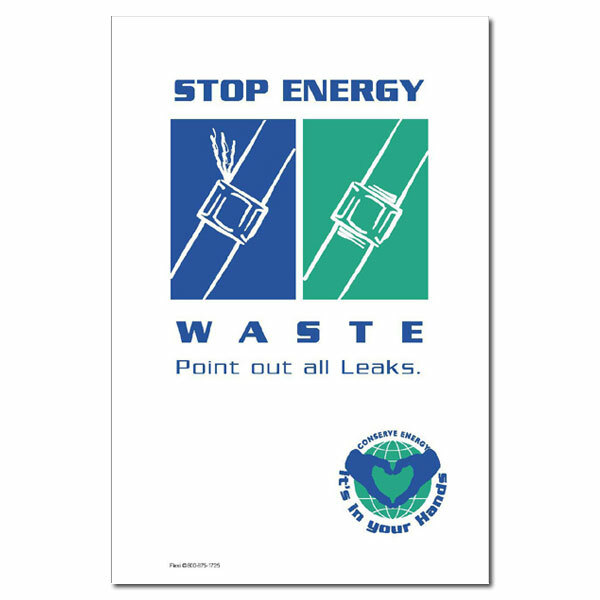 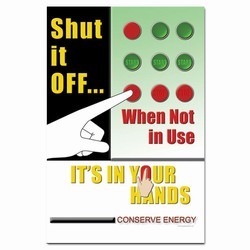 Theme: Two color blue and green energy conservation poster emphasizing the importance of pointing out air leaks, fluid leaks, hydraulic leaks and other pipe leaks. 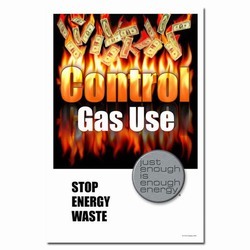 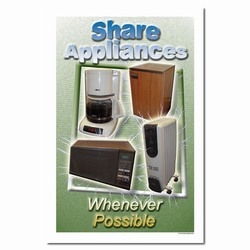 Message: "Stop Energy Waste. 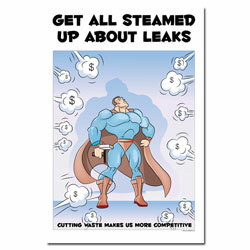 Point Out All Leaks."